Antifreeze And Your Pets: Dangers Abound! A recent post on The New York Times "Well" blog gives us much-needed information on this terribly toxic substance. Toxicologists consider ethylene glycol, the active ingredient in antifreeze, to be a "seductive and uniquely dangerous poison" because of it's sweet taste. Plus, it's a slow-acting poison, taking up to 48 hours for symptoms to appear, even after ingestion of a high dose. So by the time you realize your child or pet has ingested something toxic, it might be too late. Recently, an Ohio woman ( not Parental Unit!) was "convicted of killing her fiancé by spiking raspberry ice tea with antifreeze"...but aside from murdering humans, antifreeze is frequently deadly to pets. A shocking figure according to the Humane Society of the United States: " as many as 90,000 pets and wild animals are poisoned annually by drinking spilled or carelessly stored products containing ethylene glycol." How are these unnecessary deaths being addressed? Manufacturers are adding an ingredient to make the product taste bitter rather than sweet, and educating the public about safe storage and handling. 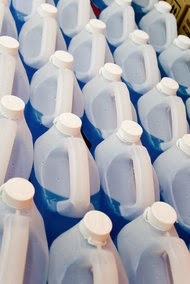 Do you have any of the older, "sweet" antifreeze still stored in your garage? No we don't have any and all potentially noxious substances are down in our cellar out of harms way. Always good to be aware. Have a terrific Tuesday. What a great post to get the word out, Bocci! Thank you! One of my biggest fears. I do not think we have any antifreeze in our garage. At least I hope not.